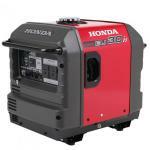 The Honda EU30ih incorporates the ultimate in performance and quality. Beware of cheap imitations. 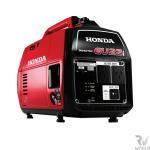 The latest Honda inverter generators deliver the cleanest power supply a generator can possibly supply. The power is a perfect sine wave, micro-chip controlled inverter. It is extremely quiet running, with super-low emissions and awesome fuel efficiency. 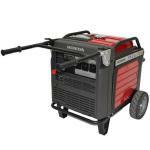 A perfect unit with quality of power, low noise, compact size, plus easy portability on wheels. Very light at only 31kg.